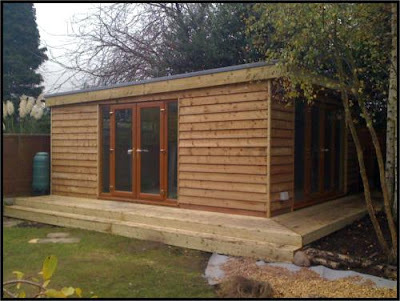 West Midlands-based Those Garden Rooms has been up and running for nearly a year. Pictured above is an interesting example of a multi-person garden office, one large enough for three people to shedwork in comfortably. If you'd like to meet them in person, they are exhibiting at the National Homebuilding and Renovating Show at the NEC, March 18-21.